Ginseng is a genus of perennial plants with fleshy roots, in the family Araliaceae. In fact, the herbal remedies referred to as “ginseng” are usually derived from the roots of several plants, being panax ginseng – also called Asian or Korean ginseng – one of the most commonly used. This type grows in cooler climates, specifically in the Northern Hemisphere in eastern Asia and North America. Apparently, its active agent is a class of steroid-like compound called ´ginsenoside´. However, as they appear to affect multiple pathways, their effects are complex and difficult to isolate. A wide variety of ginseng is generally available in many Chinese or Korean herbal medicine shops and ethnic Chinese supermarkets. Although ginseng is mostly related to East Asian medicine, the American type of this herb “Panax quinquefolius” also has been used by Native Americans for centuries. In our days, ginseng is recognized as an adaptogen, since it increases body’s resistance to stress. Some studies have also shown that ginseng may lower blood glucose, while others indicate beneficial effects on immune function and the hypothalamus-pituitary-adrenal axis. However, the use of combination products and the limitations of some studies (e.g., poor quality in methodology, research focusing on healthy volunteers, small sample size, unstandardized ginseng preparations, varying doses, etc.) the experts in general find it difficult to elaborate conclusions about some of the clinical effects of ginseng. According to Traditional Chinese Medicine (TCM) Chinese ginseng (panax ginseng) promotes Yang energy, improves circulation, increases blood supply and aids recovery from weakness after illness, and stimulates the body. In the case of American ginseng (panax quinquefolius), it promotes Yin energy, and cleans excess Yang in the body, producing calm. Supplements that include ginseng on their component combinations are popular, due to its supposed actions over energy, libido, and blood sugar balance. 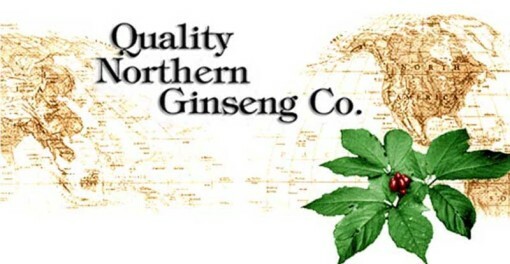 With the objective of providing conclusive information in terms of ginseng effect over fat loss, the following study was performed at Tang Center for Herbal Medicine Research, Department of Anesthesia & Critical Care, University of Chicago, in Illinois. In general ginseng appears to be safe and well tolerated, although caution is advised about concomitant use with some pharmaceuticals, such as warfarin, oral hypoglycemic agents, insulin, and phenelzine. It is important to consult a health care provider about any herb or dietary supplement taken, which includes ginseng, in order to ensure safe and coordinated care. The most common reported side effects are headaches and sleep and gastrointestinal problems, and there has been reported some cases of allergic reactions, as well as breast tenderness, menstrual irregularities, and high blood pressure associated with ginseng products. However, as it was explained, it is very common to mix ginseng with other compounds when it comes to dietary supplements. As these product’s components were not analyzed in those cases, effects may have been due to another herb or drug in the supplement. Moreover, since ginseng may lower levels of blood sugar, people suffering from diabetes should be more wary with this herb, especially if they are using medicines to lower blood sugar or taking other herbs that are also thought to have that action, such as bitter melon and fenugreek. When taking ginseng as a standardized extract, 200 mg per day are advised, while in case of taking the dry root – usually in tea form or chewed – 0.5 to 2 g per day is the common dosage.